Our parking lot is located to the North of our building. 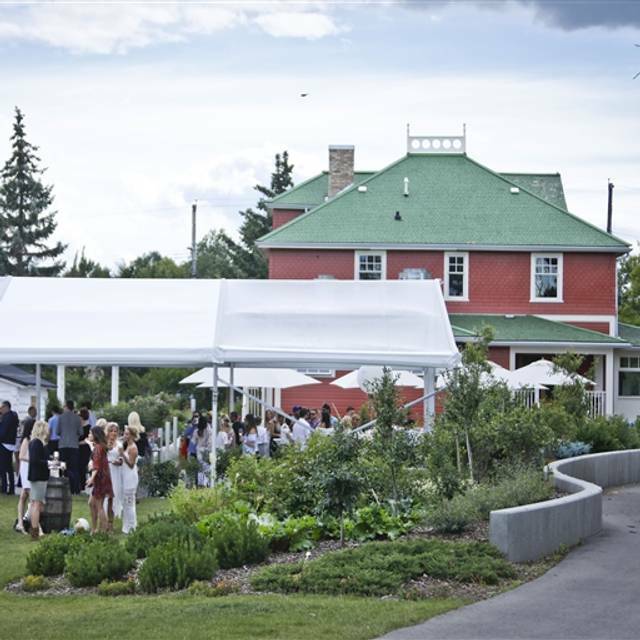 There is also street parking available in the area and a payment lot at Fort Calgary. 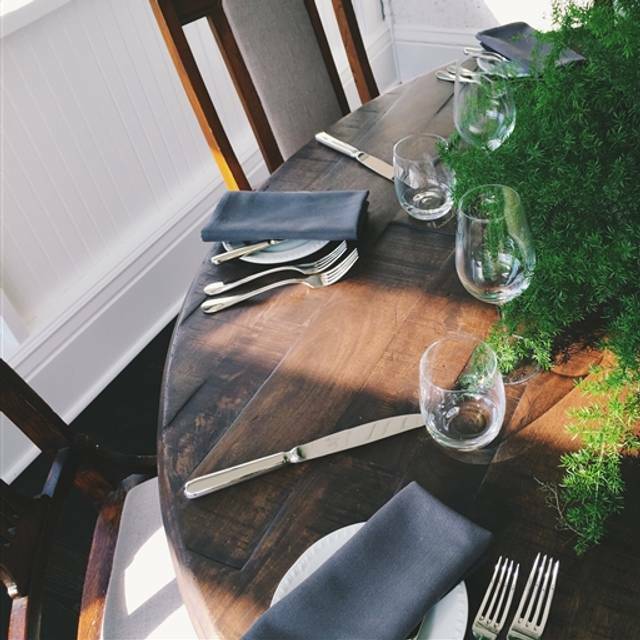 A collection of beautifully curated rooms, each with its own unique character, set the stage for a Canadian culinary journey at Deane House. In the dining room, library, bar and gardens, we guide guests on a seasonal, regional exploration with Chef Matthias Fong. 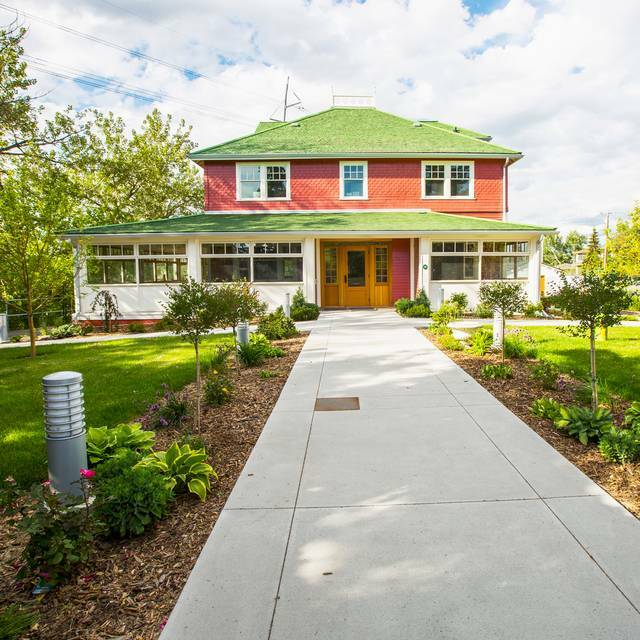 Enjoy lunch, dinner and weekend brunch in Inglewood, 5 minutes from Calgary's city centre. Took our children (7&10) for dinner as they are big fans of the haunted Deane House. Staff was amazing - gave us a little tour of all the haunted parts of the house - very patient with all our questions. Service was terrific, as was the food. Not a lot of food options. Ambience and service compensate. Just okay, went for brunch and I found it limiting to folks who don't eat meat. After ordering I asked for the pastry trio to be warned so that the cold butter could melt and the waiter said it would be "impossible unfortunately"> Otherwise the ladies hosting and serving were lovely and the rest of the food was okay. The staff was unbelievable, very attentive, engaging and pleasant. Did not matter what age, they engaged with everyone. Room was awesome, which kept the noise level to our own group. First visit - 3 of us shared the spatchcock chicken and a couple of appies. Food was very good and the service even better. We will be back! The food was exquisite (I had the French toast and my companion the scrambled eggs). My latte was exceptional. Service was superb and the location ... well it’s been said before: location, location, location. My first time and certainly not the last! Extremely mediocre breakfast for a fine dining price. We thought it would be great since they were partners with River Cafe (which is a wonderful restaurant!). We got the soft scrambled eggs and goose benny. Bread was tough and toasted until tough. Both were OK and can definitely get WAY better breakfast in the city for the same price and if not, less. Beautiful restaurant and vibe, though. Sorry we decided to celebrate our anniversary here! 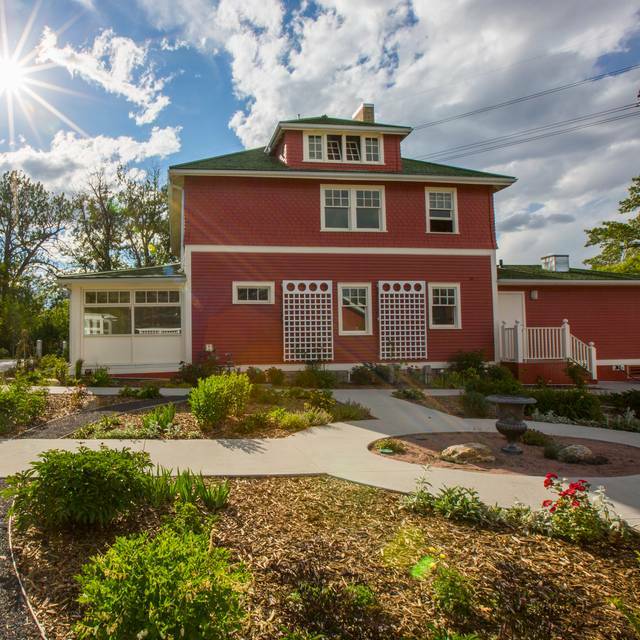 The Deane House is an extraordinary piece of Calgary history. 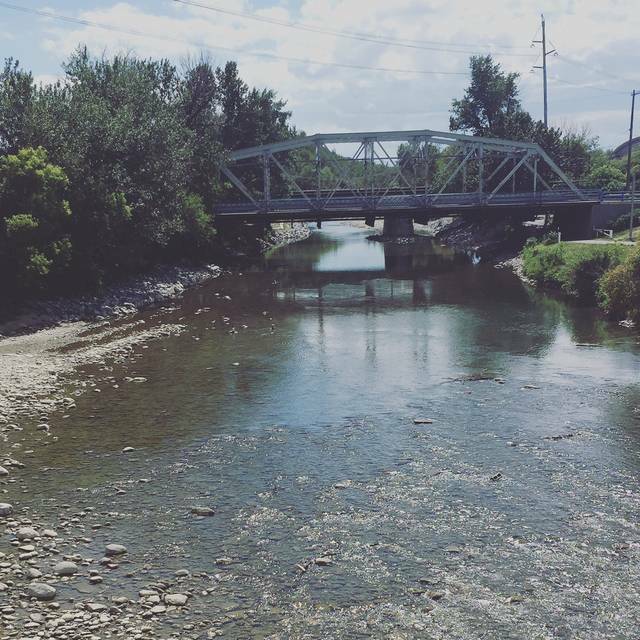 Located close to downtown and situated on a river with pathways you can enjoy after your brunch. We love deane house, but it was a bit of an off night. We had been seated for over an hour by the time we got our first drinks, and everything just felt off after that. I know there was a wedding happening at the same time, so I’m sure that added stress to the kitchen/bar/staff, but I also don’t feel like my experience should be compromised because of that. We had a wonderful meal with our out of towns friends on their annual visit to Calgary and Banff. We were seated at a table very close to others and the noise level was uncomfortable. We asked if there was another table and we were graciously shown to a front room table all to ourselves. Our waitress was very knowledgeable, friendly and we enjoyed having her serve us. We enjoyed the burger, the tuna, the mussels and the rainbow trout for lunch. We couldn't resist the dessert menu and had the chocolate torte, the cheesecake and the honey crisp galette. We were surprised how quickly the time went by and were so happy to be able to talk in a quieter atmosphere. We all look forward to next year's visit. Thanks Dean House! Breakfast was ok at best. I wouldn’t waste money on breakfast here. Service was good but not much your server can do if the food isn’t great. Didn't find our waitress was that great, but the bus boy, now that guy was wonderful, so friendly and engaging. His service was top notch! I am so happy that we had such a positive experience this time. 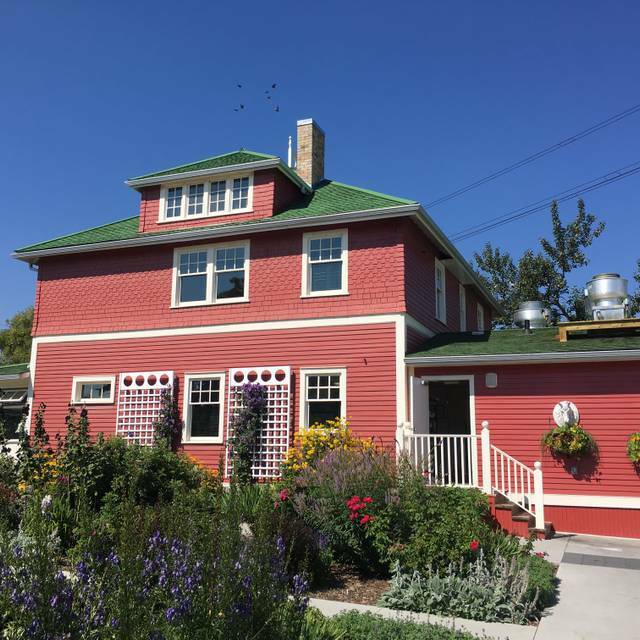 The last two occasions we have attended, we were treated rudely by the hostess, but amazingly by the service staff and since the food is so delicious it was disappointing! It seems some changes have been made, and the host staff were welcoming and kind. The server was outstanding, she made a recommendation to sub mushrooms for bacon and greens for hash browns, I was so very grateful to her for those options. My daughter was in a bit of a mood (Toddler) and she was still treated well and with respect. So fantastic. Amazing service and incredible food. Nothing like it in Calgary. The food was outstanding. The service was polite and impeccable. The ginger beets were unique, every bite of the beef with bubble and squeak was a collision of rich taste and the duck was great! We will be back. From arrival to departure our experience was fantastic. The server was attentive and the food brilliant. Please read my whole review for the entire experience story. My fiancée and I went out to celebrate his 25th birthday. I made a reservation, and up until the end of our meal, everything was great. The food was pretty good, and the service was great. Near the end of the meal, it became apparent that they had served me a broken water glass and I got a shard of glass in my hand. I was bleeding and there was glass still physically lodged in my hand. I went in to show a server and to obtain some first aid stuff to get it out. Everyone was very apologetic, but I found it quite concerning that they didn’t have any tweezers to get the glass out. I was given an unsterile safety pin to dig the glass out with. I had to sterilize it with some spray they gave me and then further rip my skin off to get the glass out. I was bleeding quite badly, as I had to rip my skin off to get it out. After this ordeal was over, I was told getting glass in my hand was worth their “friends and family discount” and I was given less than $10 off of a $100 meal. 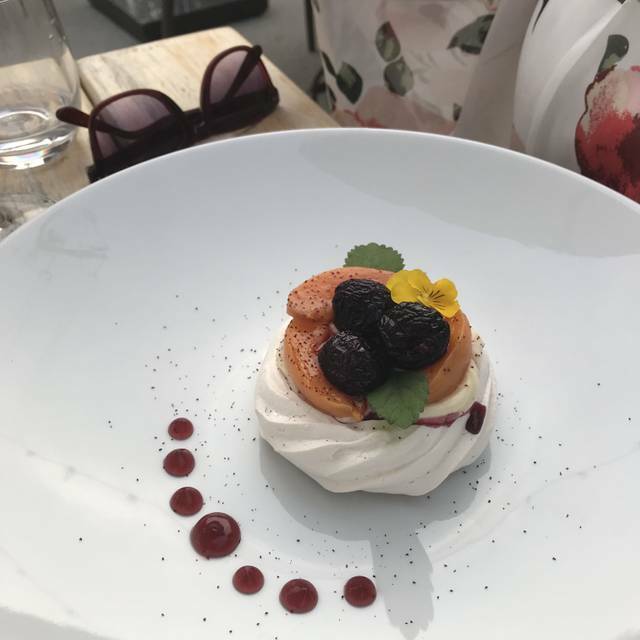 Furthermore, the dessert they told me that was “on the house” was now on my bill and I had to pay for it. I was frustrated enough at this point that I didn’t say anything and I just paid. I can see how these errors were a series of unfortunate events, but I feel pretty ripped off, as I was forced to pay for something we didn’t ask for. Additionally, we had planned to go to some virtual reality gaming and I lost out on a good chunk of the $50 I spent, because my hand was sore and constantly bleeding when I tried to use the controllers. I’m pretty frustrated and likely wouldn’t go back. A beautiful house. kind, professional servers. Talented musicians. Delicious food. The only problem was that a quiet table was requested due to my father’s hearing problem but they placed us right by a service station, and a hallway intersection so it was particularly loud. 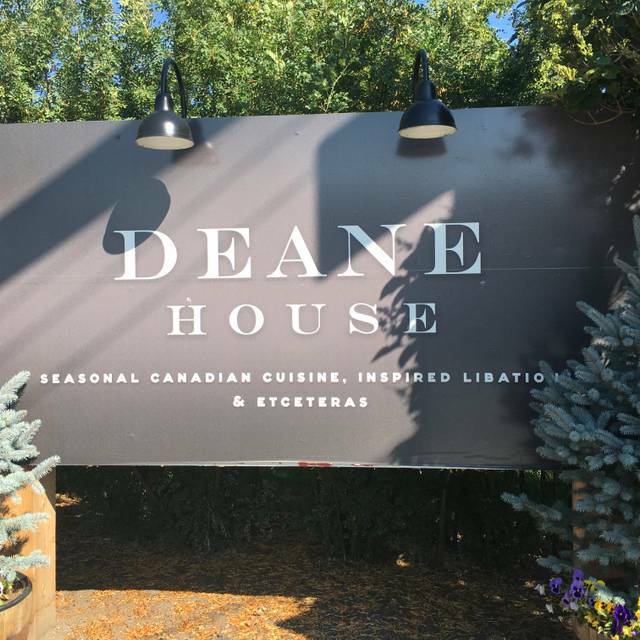 My wife and I along with friends had lunch yesterday at Deane House and we were all very impressed. 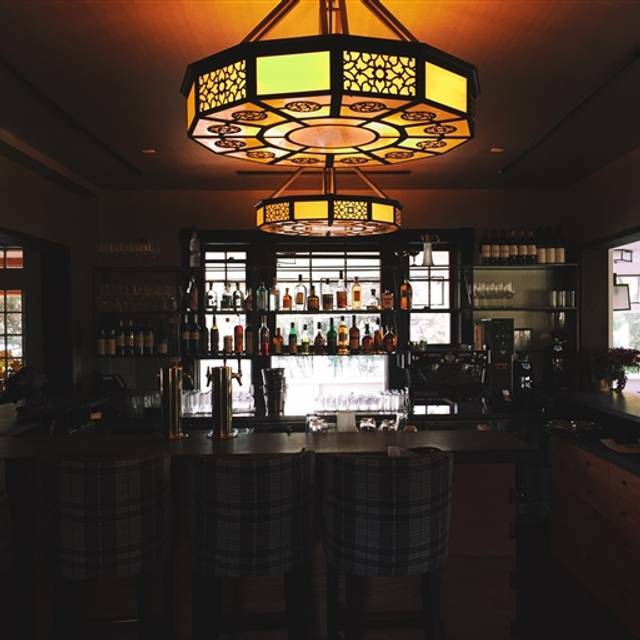 The food was very good, the ambience was what you would expect and the service was very good. I would highly recommend. I have enjoyed a few wonderful restaurants over the years and I will say now, this is a top five!! The food was amazing, a variety of entrees including Vegan, many farm to table items too. The presentation on plate was perfect...nothing overloaded and not full of pretty flowers. The Wine list should fit every budget. There is a excellent Burrowing Owl Merlot from B.C., a good selection of Italian and French wines too. The Pastry Chef at Deane House certainly has imagination and knows how to fill the bill with quality deserts. Now, I must say that my two guest and I were frankly blown away by the service. Amy knows how to tell stories about any entre or desert. She exemplifies a true hostess/server who wants you to enjoy your adventure. We'd all return to Deane House just to have Amy explain the menu one more time. This person deserves a 10 + 10. Fantastic food as always. Sunday nights are packed with live jazz. Great spot with wonderful food. Will def be back. Amazing food and such a beautiful building!! Me and my sister went for a special dinner treat to ourselves. We loved our food. But.. we were seated so close to the other two groups on our sides we could hear everything they said. For the price we paid, we should have had more privacy. Very good service. Waitresses were attentive and knowledgeable. Food quality and wine choices were excellent. We very much enjoyed the tasting menu that was part of the YYC promotion. The quality of the dishes was very good and creative. The service was exceptionally good. We didn't follow the wine pairing and sampled from the quite extensive wine list. The setting overlooking the confluence of the Bow and Elbow is quite stunning. Fabulous meal here, everything was top notch! Can’t wait to return, perfect for any occasion. Pros: Inspirational veggies and veggie combinations. Everyone in our party of 4 was delighted with their main course. Special diet requirements: no problem. Realistic portions. Unpretentious service. Cons: Plates were not always explained. Fruit aspects of desserts were a bit blah, not to the standard of other elements, but by that point in the meal forgiveness was plentiful, as everything else was top notch.